What will happen if my baby’s blood spot screen is positive? If the blood spot screening identifies an increased risk for one of the screened conditions, a staff member from the laboratory where your baby’s sample is being tested will contact the health care provider you included on your baby’s newborn screening paperwork after birth. This is why it is so important to make sure that the correct name of the doctor, nurse or clinic is written on the screening paperwork before it is sent to the laboratory with your baby’s sample. The state lab’s follow-up staff, your baby’s healthcare providers, and specialists will work with you, so your baby gets the testing to tell whether he or she has a specific condition. If there is a diagnosis, follow-up plans will be developed and discussed with you. What will happen if my baby’s hearing screen is positive? If your baby’s hearing screening is abnormal, your baby will be referred for a full hearing evaluation by an audiologist and a follow-up plan will be developed to be sure that any hearing problems that are present are managed early. What do I do if they call to tell me that my baby’s newborn screen is abnormal? Don’t panic or hesitate! Listen carefully to what the doctor or nurse is saying about what you should do. Ask any questions you may have. Write things down if that helps you to remember your questions. Then follow the recommendations carefully, just as you were directed. Can the newborn screen result be wrong? Yes, the newborn screen is just a sensitive tool so no babies with screened conditions are missed. However, it is not a diagnostic test. 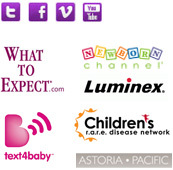 It is designed to point out ANY child who has a chance of having a treatable condition, even if that chance is small. It can’t tell you for sure your baby has one of the disorders, it can only “raise a flag” indicating where a problem might be. 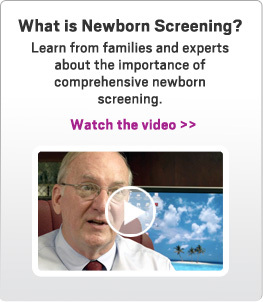 As more newborn screening is completed it becomes easier to show which babies have a condition and which do not. What do I do after I follow the initial recommendations? Take comfort in knowing that you have done the best you can for your baby. Find out how long it will take to get the results back and who will be contacting you. Follow any direction you were given for the care of your baby, whether it is to use frequent feedings, to avoid certain foods, or to use a special formula. Follow-up with your baby’s doctor, nurse or clinic if you do not hear back about follow up with the specialists if that was recommended.